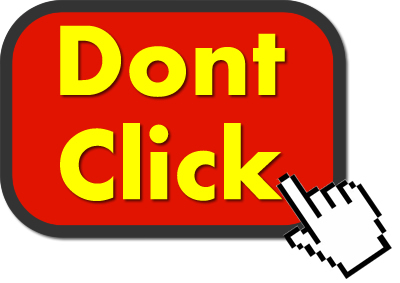 Like all online venues there’s a caveat to visiting streaming video sites and that comes in the form of bogus sites and bad links you shouldn’t click. Not every shiny penny website is legit and it would be best that you understand that from the start. There are unscrupulous people out there from around the world that want nothing less than to rob you blind by hacking into your computer or stealing your personal and financial information. The tricks they use are many but all fall under the same procedures. They know you’re looking for something and they’ll make the most attractive link they can to get you to fall for their schemes. Say you’re looking for a streaming site to see a major sports event. You’ll find dozens and dozens of them suddenly popping up. None but maybe a few are official sites allowed to stream such content. Knowing this the bad guys dress their websites up to look just like something official and load the sites with all sorts of links leading to traps such as trojans, viruses, malware and more. This is a case of looking before you leap and setting a personal policy of not trying to skirt the official sites. They’re official for a reason. You can tell a bogus site in many ways. Sometimes at a glance or if you dig deeper to find out who owns the sites. Whois.com is a site that can help you find out who owns a site but it’s not a guarantee only a help. Seeing numerous links on the front page that don’t go directly to the content you’re looking for is another sign. Mouseover a link and read where it leads. That’s a safer way to surf but isn’t a guarantee either. A well monetized site is okay but one that has fifty links to fifty things you’re not interested in is a tell tale sign that something phishy is going on. So be cautious and use your good sense and you should do well. HBO Request Own Links Removed From Google For Copyright Infringement!